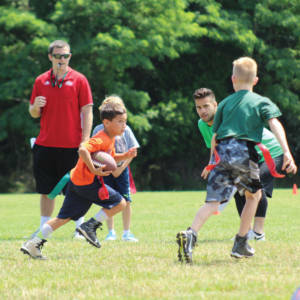 Coach Taylor will instruct all aspects of flag football with position and skill instruction. 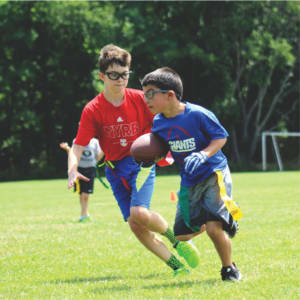 Campers will be divided into teams for league competition play. There will be an awards ceremony at the end of the week. Formerly from Howell Pop Warner, Taylor coached and played for a combined 9 years, 4 Years Spent at the Midget Division 1, as a Head Coach. Under Coach Dan Duddy, he played Offensive Line at Monsignor Donovan for 2 seasons, where in 2013 MonDon was #1 in Rushing Per Game in the Shore Conference. Taylor is also Glazier Football Clinics and Player Safety Certified. Coach Taylor is in his second year as football coach at Montclair State University.